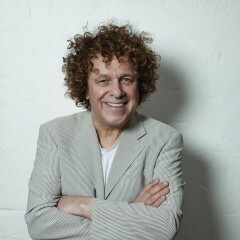 It’s now 45 years since LEO SAYER released his first album ‘Silverbird’. On the Warner Bros USA and Chrysalis Records UK release in 1973, Leo appeared on TV dressed as a white faced Pierrot, hitting immediate success in the charts, on the stage, and creating a major buzz in the press. Since then he’s had 5 worldwide No.1 hits, over 40 Top Forty singles, is a Grammy winning songwriter, and is considered one of the world’s most thrilling and entertaining live performers. Born in Shoreham By Sea, West Sussex, in England, Leo now lives in Australia, where he still tours, performs and records. In 2013 he released his 13th studio album ‘Restless Years’, producing and writing all the songs, with some of Australia’s best musicians providing the backing. Now, to mark his 70th birthday in May comes ‘Selfie’, a collection of originals plus one Beatles cover, again produced by Leo, but this time he has played all the music too. He feels he’s as prolific now as he’s ever been, and still looking and feeling youthful, has no thoughts of slowing down. His career started in 1972, when he met David Courtney through an audition held in his home city of Brighton. Leo and David started writing songs together, and took these to Adam Faith, a legendary British pop singing and acting icon the 50’s and 60’s. Adam saw Leo’s potential immediately, producing his first records with David, staring with ‘Silverbird’ in 1973. A cover version of Leo’s ‘The Show Must Go On’ from this album became a U.S. No.1 record for Three Dog Night in 1974. But this wasn’t the first success for Leo, Adam and David, as just a few months earlier they’d masterminded a solo album for The Who’s Roger Daltrey. This introduced Leo to the music industry as Daltrey’s songwriter, most notably with the song “Giving It All Away”, which in 1972, went straight into the U.S. and U.K. Top Ten. That song gave Leo the title for his second album ‘Just A Boy’ which became a major success worldwide in 1974 with the hit singles ‘Long Tall Glasses’ (his first U.S. Top Ten hit), and ‘One Man Band’. By now, Leo was touring The States, Australia, Europe and the Far East as an international concert headliner. Back home in ’75, he released a third successful album, ‘Another Year’, giving him another UK top 5 single with ‘Moonlighting’. In 1976 Leo met with producer Richard Perry in Los Angeles. Richard went on to produce three chart-topping albums for Leo, which consolidated his image as a world-wide artist. Leo was now living in the States, working with co-writers like Barry Mann, Tom Snow, Albert Hammond, Michael Omartian, and Vini Poncia, and recording with many of the top musicians in the U.S.A. – really on top of his game. “You Make Me Feel Like Dancing” was a rapid U.S. No.1 followed up by “When I Need You” (No.1 in the U.S., Britain and Canada) and “How Much Love”. These all came from the multi-platinum album ‘Endless Flight’, his biggest album to date. Perry further produced ‘Thunder In My Heart’ (1977) including the singles “Thunder In My Heart” and “Easy To Love”, and ‘Leo Sayer’ (1978), which had ‘Raining In My Heart’ and ‘I Can’t Stop Loving You (Though I Try)’ up in the charts as well. Back home, Leo was now being treated as a major celebrity, hosting his own BBC TV series, and performing live for Her Majesty The Queen. In 1979, his past co-writer David Courtney produced ‘Here’ in L.A., and in 1980 Leo started working in London with co-writer and producer Alan Tarney for the ‘Living In A Fantasy’ album. From this came the classic ‘More Than I Can Say’ which gave Leo another giant international chart topper, hitting No.2 in the U.S., and the top of the U.S. country charts, as well as becoming Leo’s most popular song in Asia. That same year Leo and Alan also wrote a chart hit for Cliff Richard with ‘Dreamin’, and followed this up with Leo’s ‘Orchard Road’ hit single in 1983. During the 80’s Leo also made the albums ‘World Radio’ in the U.S.A. with producer Arif Mardin, and ‘Have You Ever Been In Love’ with Christopher Neil, and then ‘Cool Touch’ again with Alan Tarney, in 1990. Still a major draw across the globe, Leo toured extensively throughout the 80’s and 90’s, selling out concerts in places as widespread as Tokyo, South Africa, Bangkok, New Zealand, Scandinavia, Hawaii, Las Vegas, Alaska, Moscow, Saudi Arabia, Atlantic City, Toronto, and Vietnam. He really had fit the definition of worldwide superstar. During 2005 he was in Denmark self-producing the album ‘Voice In My Head’, and in 2006, a DJ called Meck put a remix of Leo’s 1977 ‘Thunder In My Heart’ right up to the top of the UK singles chart, marking his second official UK No.1 hit there. In the last twelve years since moving down-under he just hasn’t stopped working, and in 2015, ‘16, and ‘17 has been back to the UK for sold out concert tours and festival appearances. As a youthful, still fine voiced and enviably energetic concert and recording artist, this guy just doesn’t know how to slow down – firmly believing (to quote his first hit) that ‘The Show Must Go On’!